Artwork © 2013 Martin Hill. 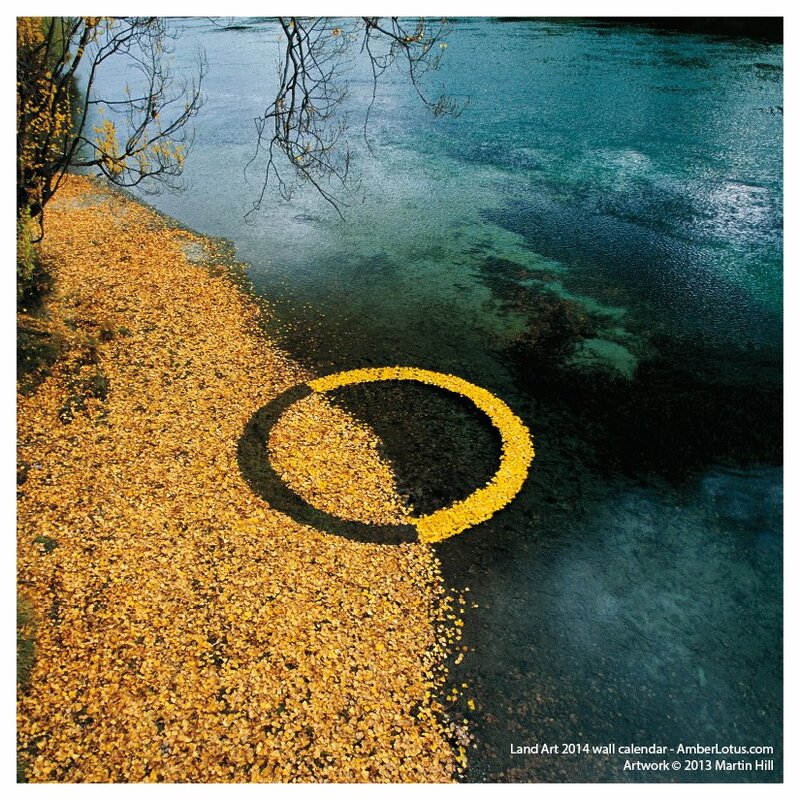 Excerpt from Land Art 2014 wall calendar. In The Marriage of Heaven and Hell, poet William Blake wrote, “Without contraries is no progression.” And in the profound teachings of Jewish mysticism is the statement, “The Book of Concealed Mystery is the book of the equilibrium of balance.” Our pagan fore-bearers celebrated the balance of opposites on the Equinox. This day, when the hours of light and dark are equal, was a sign, a teaching embedded within the mysterious yet comfortingly predictable time cycles. This ancient wisdom is marvelously illustrated in the yin-yang symbol. The image from Taoism teaches that light and dark — in fact, all pairs of opposites — are necessary. They are the Tao, the original and inherent way of all things. And growth — life itself — arises from their balance and equilibrium. This entry was posted in Artist Spotlight, Environmental Art, Holiday Lore, Inspiration & Spirituality, Photography, Poetry and tagged Autumn, Equinox, Martin Hill, spiritual, spirituality, Tao, Yin Yang on September 22, 2013 by Amber Lotus Publishing.